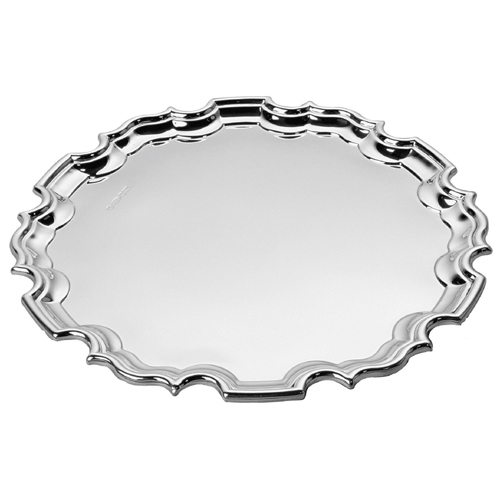 This Sheffield quality solid sterling silver salver has a Chippendale border. A classic prestige presentaion piece. Size: 25 cm (10") dia.